Study Psychology in English at ELTE Faculty of Education and Psychology! - Faculty of Education and Psychology . :: www.ppk.elte.hu :: NEWS ::. Study Psychology in English at ELTE Faculty of Education and Psychology! 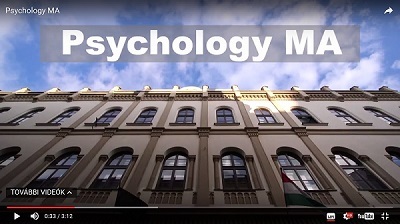 Graduates of the Psychology MA program become psychologist professionals who master the theories and methods of the science of psychology at an advanced level and after graduation they practise psychology as a vocation independently.